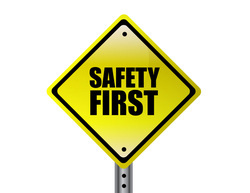 Keep these 10 safety precautions in mind when working with heating and air-conditioning systems. has coolant passing through it and can be very hot. core as these parts are very sharp. working on heating and air conditioning systems. work on the system. Never touch the refrigerant. area where there is an open flame. of the radiator fan's operation.